This trip to Vietnam was our second backpacking trip as a family. We spent three weeks making our way from Hanoi in the north to Ho Chi Minh City in the South. We visited Hanoi, Halong Bay, Sapa, Hoi An, HCMC, Can Tho and Phu Quoc. 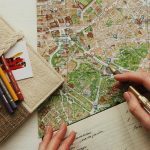 Our budget was tight and I spent many hours searching for just the right accomodation and experiences. We were really lucky that the Australian dollar was high at the time so everything in Vietnam was super cheap. 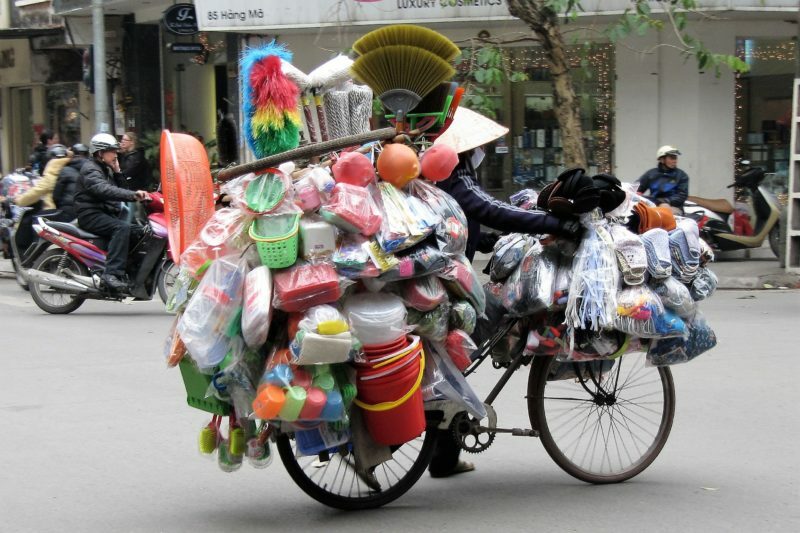 Anything can go on the back of a bicycle. Hanoi was easily the biggest city we have been to at the time of our visit. While we had been to other cities in South East Asia, the crowds and chaos of Hanoi were at another level. Our accommodation in the middle of the Old Quarter was completely bombarded by the noise all day and night. 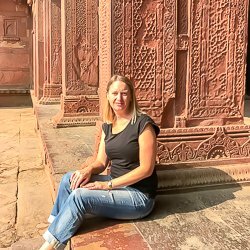 It was not altogether a bad experience – I did not find the people selling on the street anywhere near as pushy as those in Bali, or even in the Ben Thanh markets in HCMC. 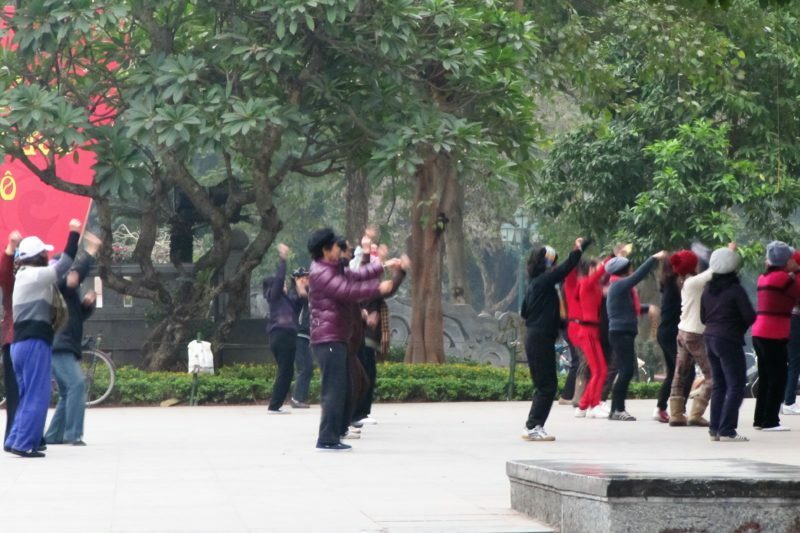 I will never forget getting up early to walk around Hoan Kiem Lake in Hanoi to watch the locals doing their early morning Tai Chi classes. I couldn’t believe that instead of the sedate scenes I expected, the strains of “Gangnam Style” were being pumped through the speakers and the dancers were happily doing all the moves to that. Early morning exercise Gangnam Style! We did have a few experiences that put us on edge. The first was the hotel that we had booked was full, so we stayed in one around the corner. It worked out to be a better place, but was disconcerting to be told on arrival we would have to stay somewhere else. My research mentioned about this happening, so wasn’t shocked when it did. The second incident you can read about in my post here – we were ripped off by a taxi driver. Not unusual, but his behaviour was, and we were feeling decidedly unsure on the ride. After these incidences we were on guard for the rest of the trip. Mostly the people were lovely, and our guide in Sapa was especially so. It was a shame that a couple of things at the beginning of our trip made us wary. We really enjoyed our Halong Bay cruise. Not so much because of Halong Bay though. It was January and cold, so the scenery wasn’t the same as all those photos on the internet. But because of the group of strangers and crew on the boat with us. And the karaoke. And the really cheap Mai Tai’s. 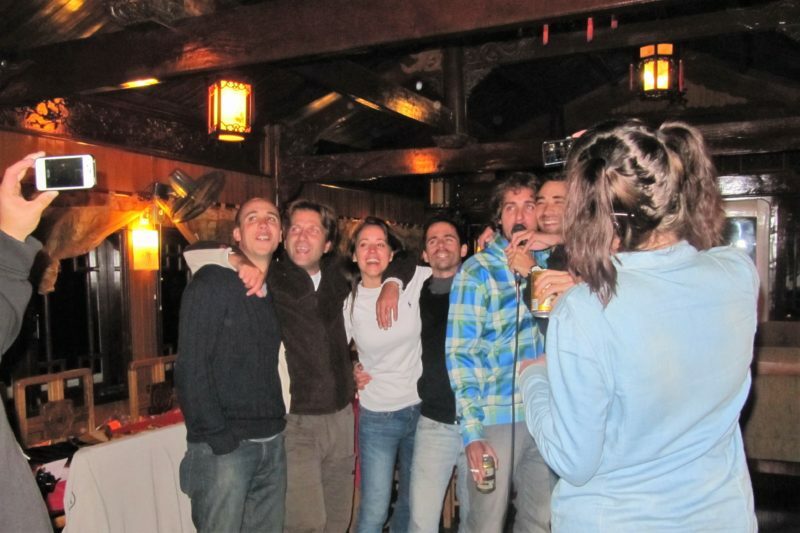 We will never forget the Argentinians singing “Don’t cry for me Argentina” for the tenth time. Even my children (16 & 13) had a great time. Strangely Simon and I were the only two to emerge the watch the sun come up the next morning as per our schedule! Sapa was amazing. 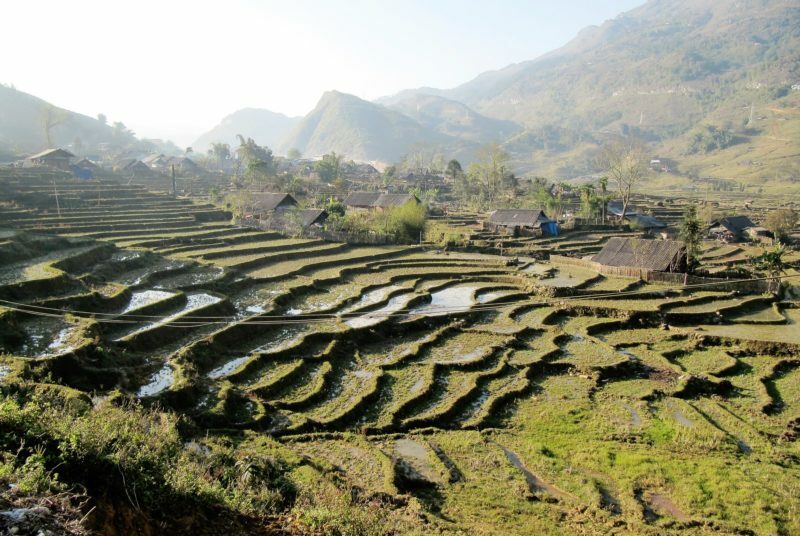 We spent two days here doing a private tour with Sapa Sisters. 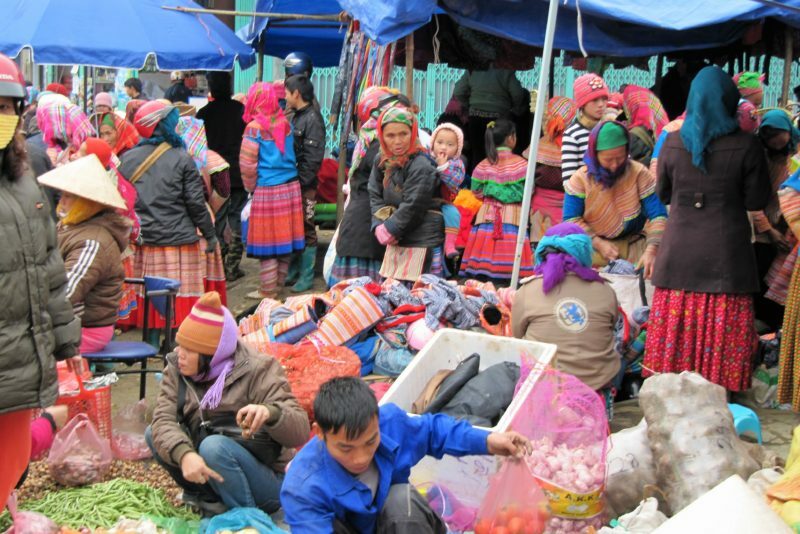 The area is home to the hill tribes of Vietnam. Their colourful clothing differentiates each tribe. The scenery is absolutely stunning, even though in January it was freezing cold. We did a home stay with a local family, then trekked through the stunning but muddy countryside the next morning. 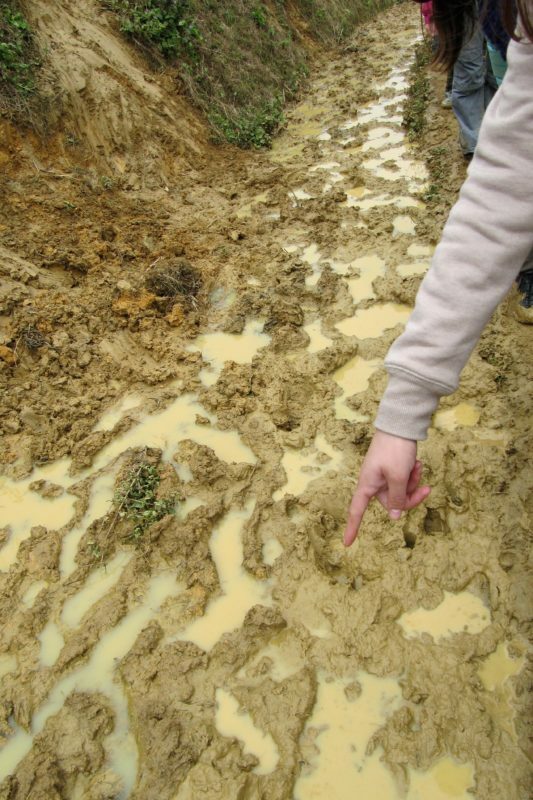 And I really mean muddy! Mud covered us after we slipped and slid through it. Was great fun! The second afternoon the thickest fog I have ever seen rolled in, followed by the scariest ride down a mountain due to the limited visibility. 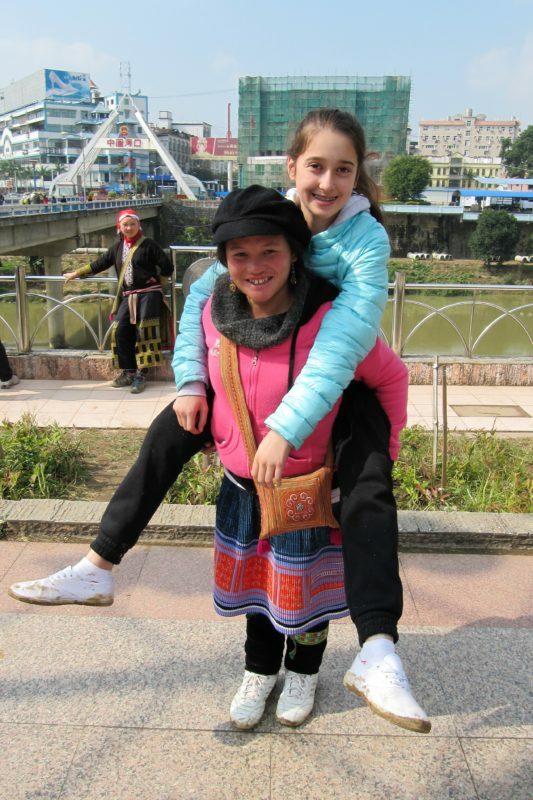 Lan, our Sapa Sisters guide, with MacKenzie in front of the Chinese border crossing. Yes, that is the path! 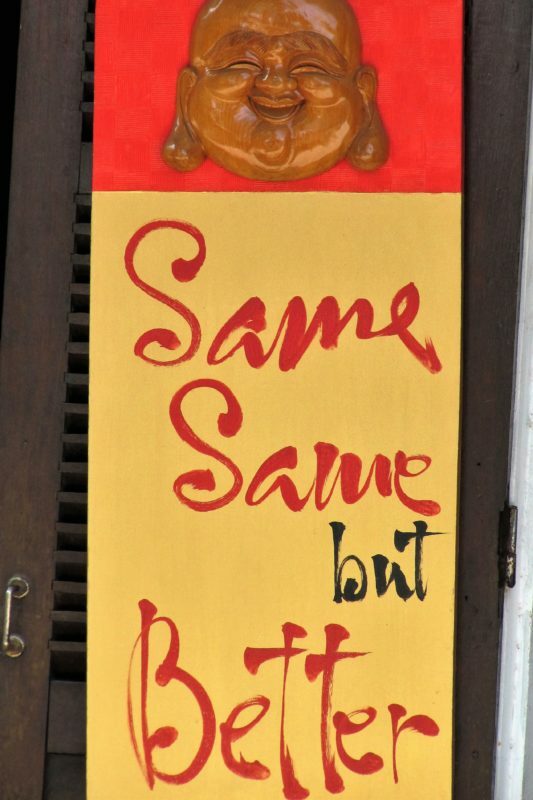 I have never heard anyone say they did not like Hoi An. We were the same. The best thing we did was grab some bicycles from where we were staying and ride to the beach and then through the countryside. We may have been slightly lost at times, but it was nice to see parts of the countryside and daily life at our own pace. Phu Quoc Island was our rest and relaxation time at the end of the trip. On the spur of the moment we booked a private snorkelling tour. I was expecting a small boat, but instead it was a huge three story number, with more crew than there were us! We had a great day snorkelling in the warm waters before watching the sun go down on our last night in Vietnam. 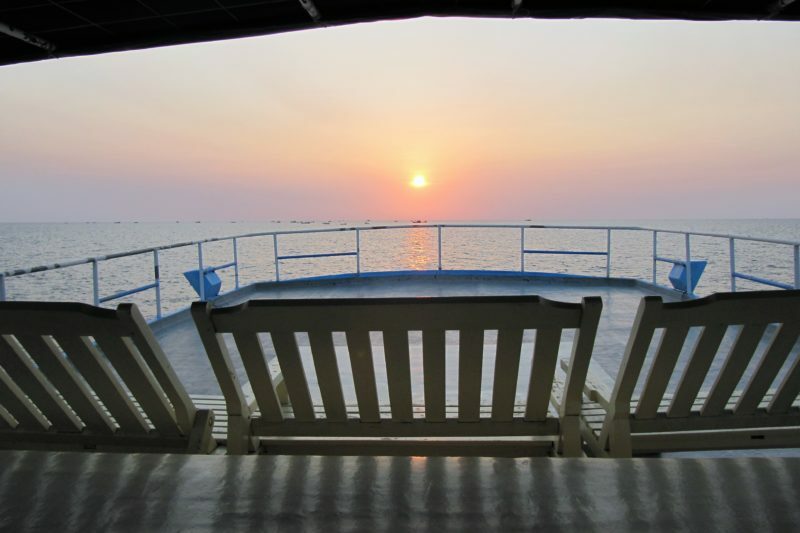 The sun going down from the top deck of our private boat. I had a long time to plan this trip. 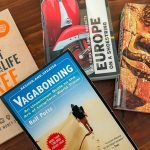 For twelve months I was researching every little detail from getting the visa’s, to where we would stay and how we would travel. We mostly caught flights between the major centres. Trains were much cheaper, but came at the cost of time and with only three weeks we were already short on that. Internal flights were quite cheap compared to similar length flights here in Australia, so the decision to fly was not a hard one. We did take an overnight train to and from Sapa. Many people say these trains are really bad. Maybe I had low expectations due to my reading on the internet. They weren’t as bad as what I was expecting. The beds were at least flat and the carriages warm. The toilets weren’t great, but we had expected them to be much worse. We had encountered some really awful ones at the train station, so I guess it’s all relative. For our Halong Bay cruise I waited until we were in Hanoi to book as it was much cheaper to book at the last minute. There was no fear of not being able to book something as there are hundreds of boats sailing around on Halong Bay. Seriously, we could easily call back and forth to other boats if we wanted to it was so packed! We went with a mid-range cruise, not one of the really cheap ones nor the really luxurious ones. Our cabin on the boat was one of the best accomodations we had on the entire trip. The bathroom was clean and modern. 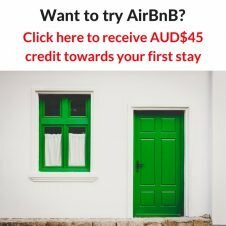 During my internet research before getting to Vietnam I had come across quite a few scams. The one that we encountered regularly was a “student” approaching us to talk English. My husband was quite taken aback the first time when I brushed the girl off, almost rudely, and kept on walking. I then explained what was going on. 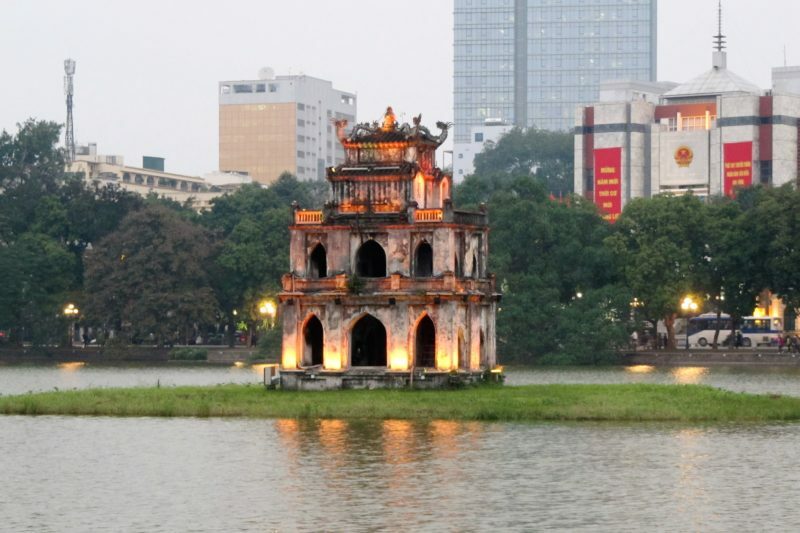 Yes, but….I probably wouldn’t spend anymore time in either Hanoi or Ho Chi Minh City. It wasn’t that I disliked them as such, I just preferred the other places a lot more. I would like to go back to Hoi An again. It’s the perfect place to just stop and rest for a few days. 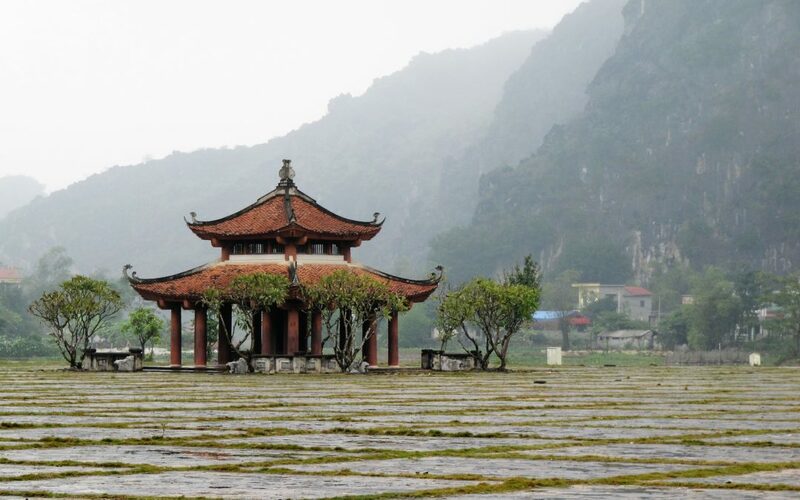 There are lots of other places around central Vietnam I’d like to see too – Danang, Hue, the caves. Our plan is to get there again in early 2018. Vietnam is a country that i like so much. The people, food and culture were amazing. I just went to the south, and i want to go again to see the places in the north. Maybe making the cruise n Halong bay, like you. Thanks Catarina. 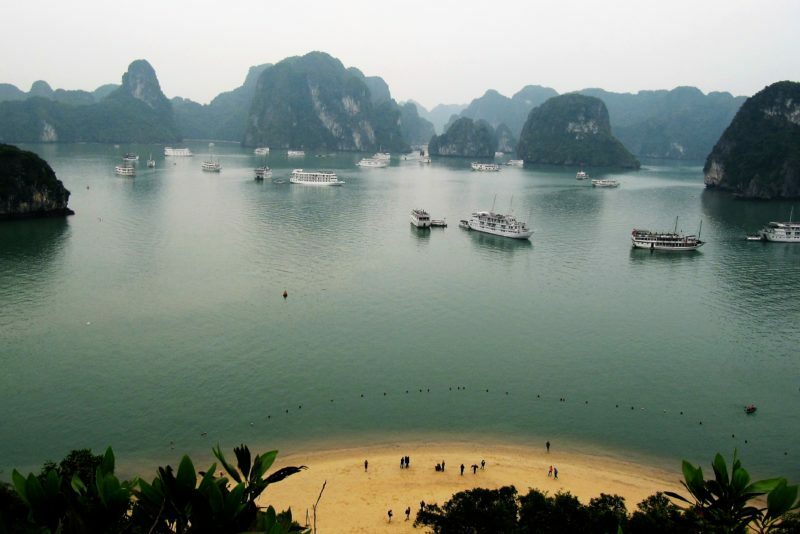 I want to go back and do the Halong Bay cruise in summer, when it’s not so cold and gloomy. I would love to see the bay with bright sunshine, it must be stunning. Oh, I totally agree! Airport taxis are a nightmare! At least the ones in HCMC, spent so much time patiently waiting for the right ones, and ending up with others jumping in before our nose. 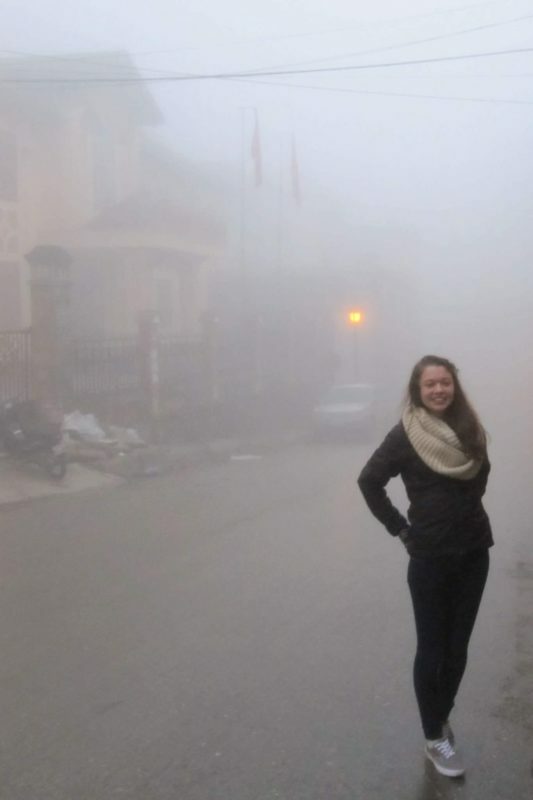 I spent four weeks in Vietnam a few years ago, mainly the same places you went, but sadly not to Sapa. 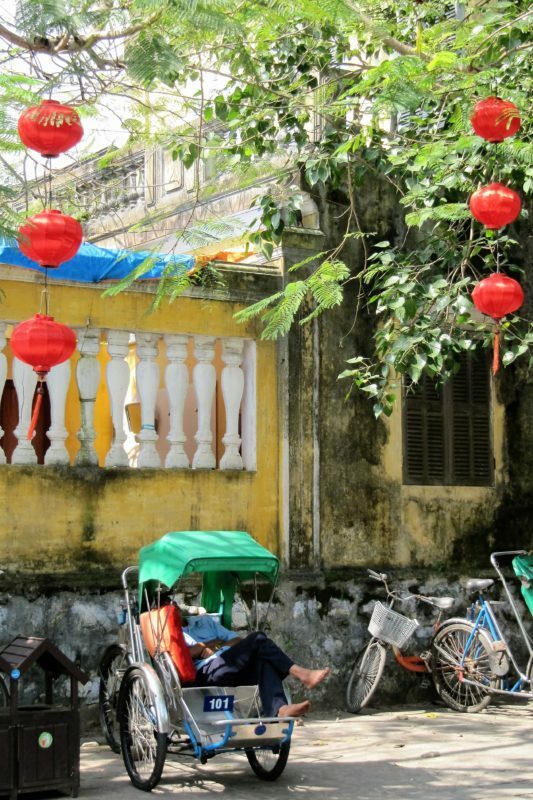 Loved the relaxing feel of Hoi An, and did an amazing food tour in Hanoi. Thanks Robyn. Yes, there is something about Vietnam that makes a second visit necessary. We did a really similar trip years ago so it was great to relive that trip through your post. We had some similar experiences and I remember being frustrated with the taxis and people trying to rip us off. We were also there for 3 weeks and in the beginning I wasn’t loving it, but by the end, I was loving it. It just took some time. Thanks Dawn. I am hoping when we visit again it will be easier since we know what to expect. Five years ago, I planned a two-week trip through Vietnam before the beginning of a 4-month internship in Ho Chi Minh City. Time goes by so fast! I really liked Vietnam and your post brought back great memories, thanks! Thanks Rosi. Yes, the north of Vietnam gets quite cold – at least for this Aussie 🙂 It was hot in the south though, great beach weather. I too loved Vietnam. So much to see and do. Oh the food. I’d go back in a heart beat for the food alone. 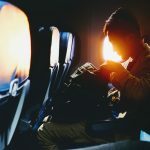 I like that you are willing to come back to same places again, many travelers just do the checklist and don’t come back once they’ve visited already. I’ve heard many good stories about Vietnam and hope it is as welcoming as they say. I almost always want to go back after I visit a country. Once there, I hear of other things I would like to do that I either couldn’t fit in or didn’t know about before I got there. It’s hard to balance that with knowing there are so many other countries in the world to visit too. Vietnam has been on my bucket list for a long time and after reading your post, it is getting much higher up. I love the food, the nature looks beautiful and inviting and all the vietnamese people are know are just too nice and kind. It’s well worth the visit Veronika! I really enjoyed your post and look forward to more. I am signing up for your newsletter so I keep updated. Vietnam is high up on my list so thank you for your info and beautiful pictures. Thanks Jodie, appreciate the follow 🙂 I hope you get the chance to get to Vietnam soon. Great post! 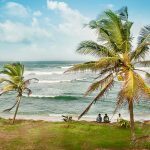 I’m planning to head to SE Asia the summer for a few months, so I’ll pin this for later! The cruise sounds fun! It sounds like the 12 months of planning paid off! You did quite a bit in a relatively short amount of time. I’m sure taking the train was also beautiful. That looks like an awesome experience! 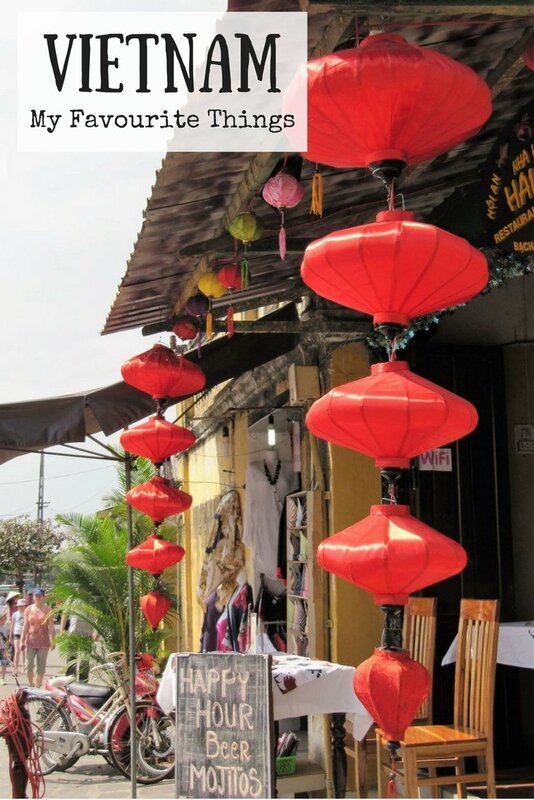 I’m really interested in Hoi An now! 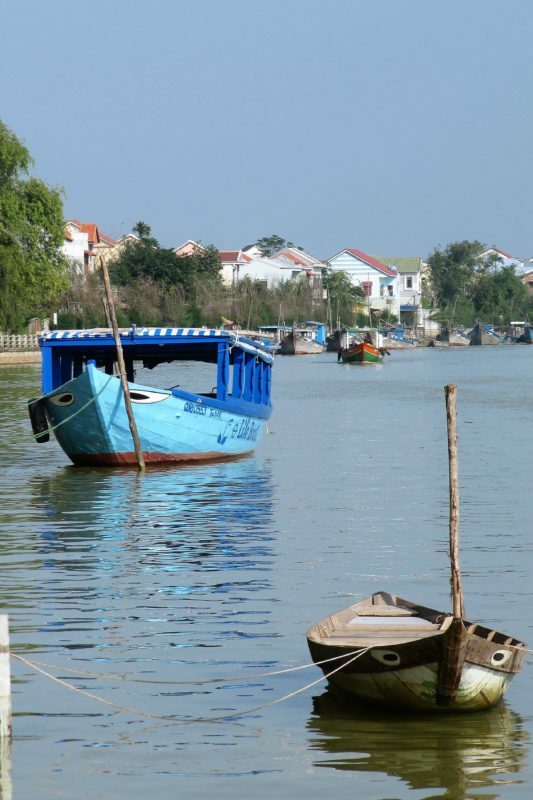 Hoi An is a fantastic spot! I haven’t been to SE Asia ever (I’m a bad Australian…) and Vietnam is top of my list. Was hoping to make it there this year. Have heard similar about Hanoi and Ho Chi Minh City and am far more interested in seeing the Vietnamese countryside. Also those boat trips sound pretty darn good, but then in my humble opinion, anything involving a boat generally is! To be honest, the people on the boat made the tour for us. It was just a great group. I guess that’s pot luck though. Oh, Halong Bay is not bad either!